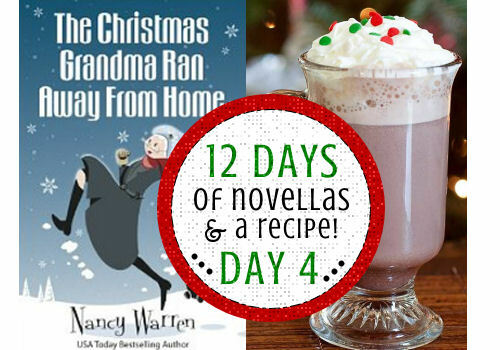 12 Days of Novellas – Day 4: The Christmas Grandma Ran Away from Home by Nancy Warren: Review + Recipe! One Peppermint Patty and a Grandma whose in a fren-zy! This entry was posted in 12 Days of Novellas, Book Reviews, Kindle Downloads, Recipes, Seasonal: Winter and tagged Chick Lit, christmas hot chocolate, christmas hot cocoa, christmas kindle downloads, christmas novellas, good christmas mysteries, Nancy Warren, Novellas, peppermint hot chocolate, peppermint hot cocoa, seasonal hot chocolate, the christmas grandma ran away download, the christmas grandma ran away review.